Buttigieg, L. Silva Lopes, K. Mercieca, C. Hili, Al. Xuereb, N. Damba (I.N. Belhadj), D. Mercieca, A. Camilleri (An. Xuereb), K. Grima, A. Oularbi, L.A. De Melo Lima. Spiteri, A. Sultana, J.P. Grima, P.P. Camilleri, M. Gauci, C. Attard, J.E. 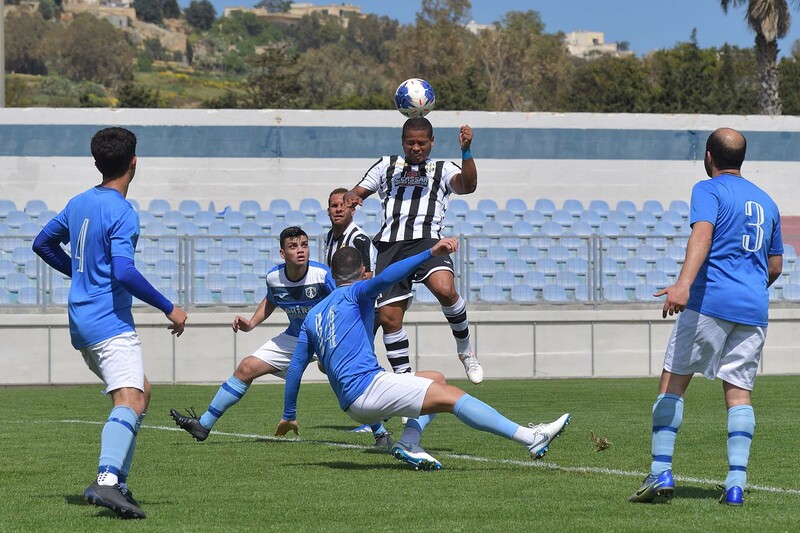 Batista Da Conceicao, P. Nunez Del Castillo, N. Stojanovic, H. Santa Rosa Cruz (J. Portelli), J. Xuereb (O. Xuereb). 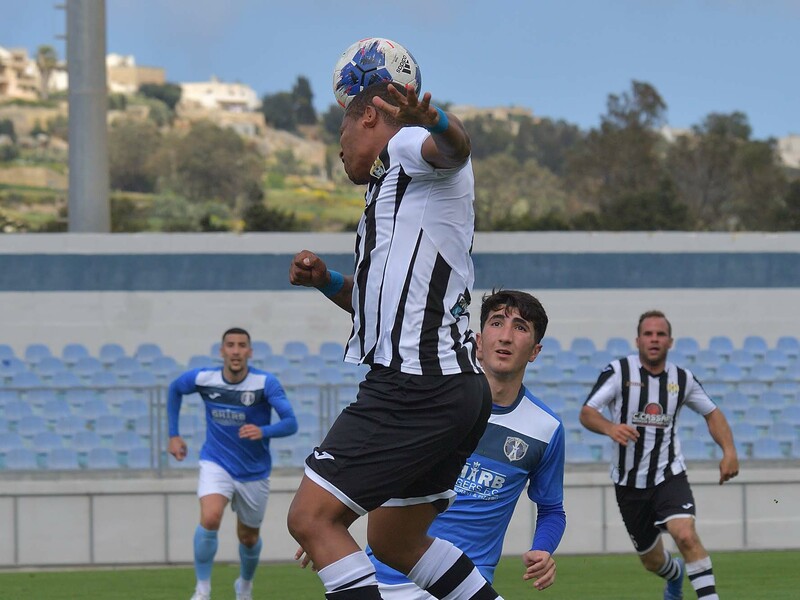 Ghajnsielem obtained three important points form a 3-0 win over Gharb Rangers so that they mathematically secured their first division status for another season. The match was well contested as the two sides were determined to obtain a win in an attempt to move away from the red zone. Ghajnsielem managed to take the lead midway through the first half and resisted to Gharb’s reaction for the rest of the encounter. 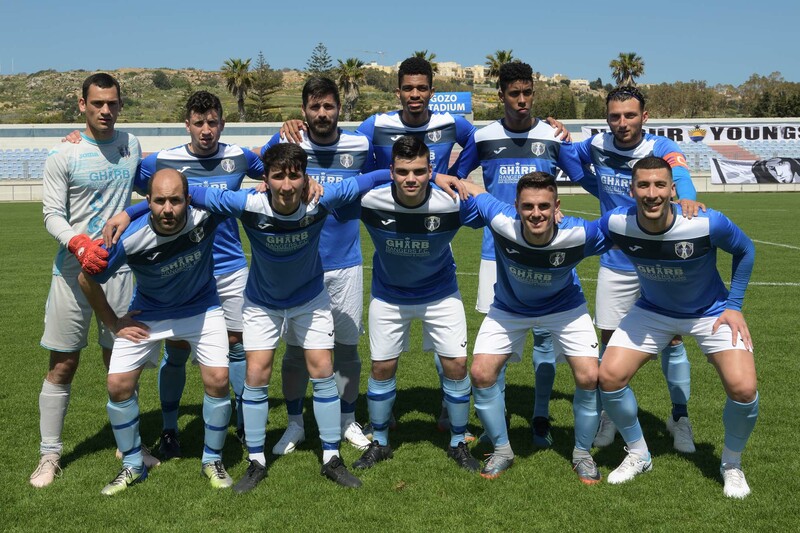 Ghajnsielem made sure of the win with two late goals so that at the end of the encounter Gharb left the field empty-handed and remain at the last place on the table together with Munxar Falcons. Gharb seemed more aggressive during the opening minutes and in the second minute of play Hugo Santa Rosa Cruz entered Ghajnsielem’s territory form the left flank and from his low cross Junior Elisio Batista Da Conceicao had his close ranged shot blocked by central defender Leandro Silva Lopes and from the rebound the same Batista Da Conceicao had his second attempt stopped by the post. Ghajnsielem recovered from the difficult start and as time passed by they took control of play. On 11 minutes Antoine Camilleri passed to Luis Andre De Melo Lima but Ghajnsielem’s Brazilian striker had his low shot that ended just wide. On 17 minutes Ghajnsielem’s Antoine Camilleri has a shot from a good position after receiving form Kurt Grima that ended high but on 21 minutes Ghajnsielem opened the score through a fine header by Luis Andre De Melo Lima following a corner kick by Ali Oularbi. Ghajnsielem went again close to scoring on 26 minutes when Naby Damba entered the area with a personal action but had his attempt form an angled position that ended on the side of the net. Three minutes later Gharb replied with a shot by Hugo Santa Rosa Cruz following a personal action that ended high and on 33 minutes Gharb’s Nemanja Stojanovic passed to Hugo Santa Rosa Cruz but the latter saw his attempt from a good position that missed the target. Gharb kept insisting and five minutes later Nemanja Stojanovic had a good strike that ended high so that the first half ended with Ghajnsielem enjoying a one goal lead. After the break Gharb increased their efforts in an attempt to level the score. 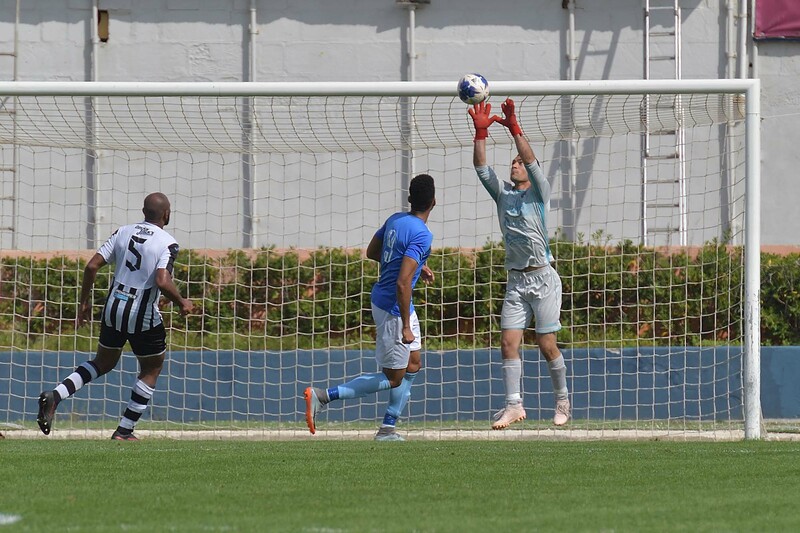 On 53 minutes Nemanja Stojanovic unmarked Batista Da Conceicao who entered Ghajnsielem’s territory and addressed towards goal as Ghajnsielem’s goalie left his position in an attempt to block the danger but the ball ended just wide. 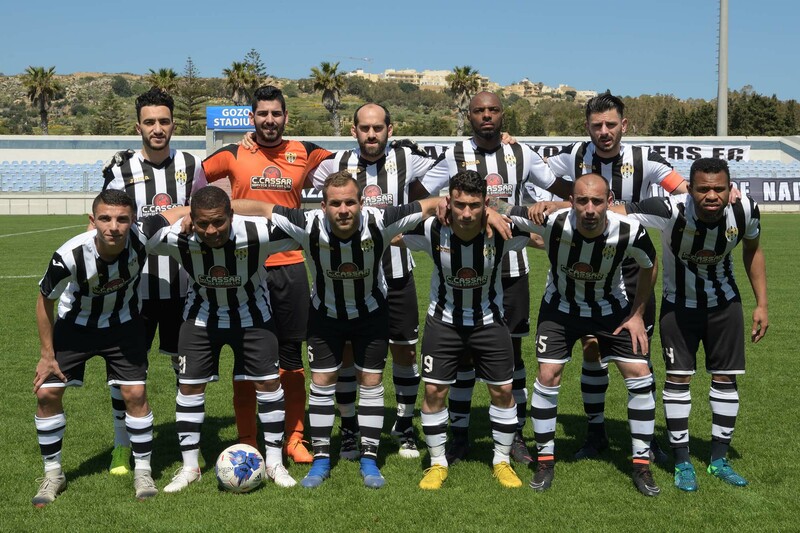 The Blacks replied on the hour mark through a shot by Alberto Xuereb that ended high and one minute later Ghajnsielem were again dangerous when Gharb’s goalie failed to take the ball from a cross by Kurt Grima but Luis Andre De Melo Lima’s header from close distance ended wide. 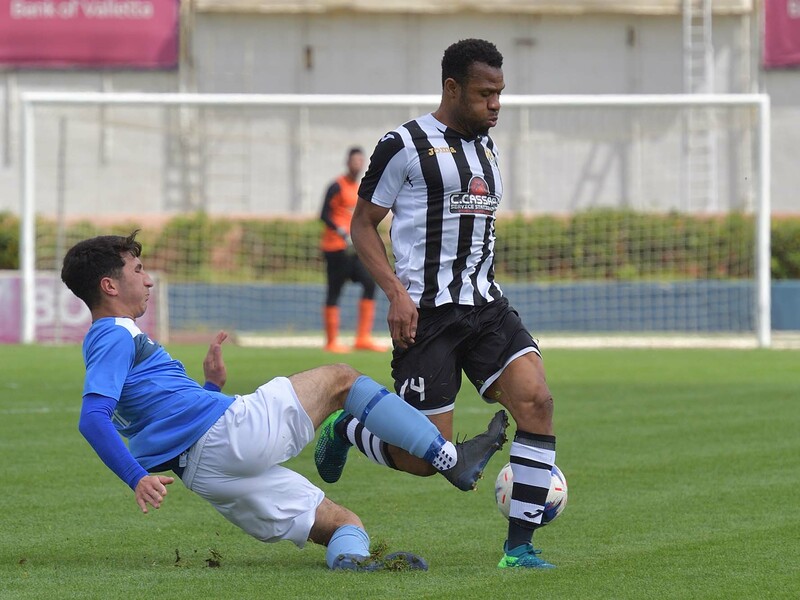 Gharb continued to find it difficult to create serious danger to Ghajsnielem’s goal and during the final stages of the encounter the Blacks became more dangerous with counter breaks. 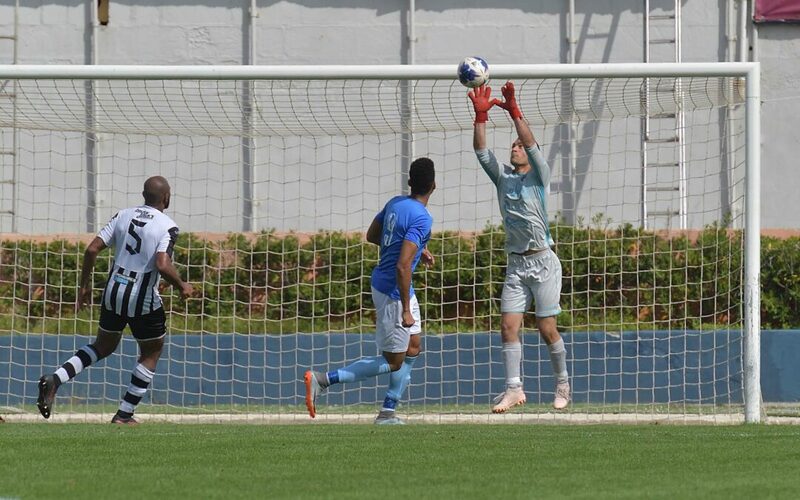 On 76 minutes Gharb’s keeper Daniel Spiteri was well placed and saved in two attempts a shot by Ali Oularbi. Two minutes later Gharb created a good opportunity to recover the deficit when Batista Da Conceicao address towards goal following a low cross by Hugo Santa Rosa Cruz but Ghajnsielem’s Kurt Grima recovered in time and cleared the ball from the goal mouth to a corner. On 81 minutes Ghajnsielem replied through a shot on the run by Ali Oularbi following a short clearance by Gharb’s defence that ended wide and three minutes later Gharb were unlucky when a direct free kick by Hugo Santa Rosa Cruz was saved by Ghajnsielem’s keeper Luke Buttigieg with the aid of the crossbar. Ghajnsielem doubled the score on 85 minutes when Naby Damba entered Gharb’s territory in a counter break and netted easily as Gharb’s keeper left his position in an attempt to block the danger. In the fifth minute of stoppage time Ghajnsielem and made sure of the win by scoring the third goal when substitute Ibrahim Naim Belhadj’s cross from the left flank arrived to Luis Andre De Melo Lima who controlled the ball at the edge of the area and fired in goal with a close ranged strike.